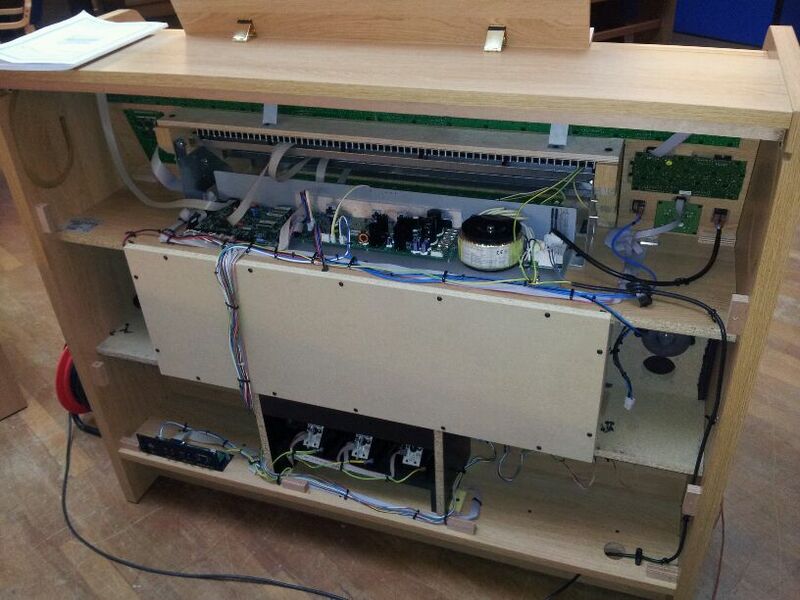 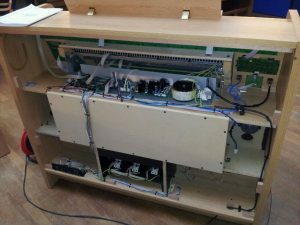 These photos are from an organ manufactured in Italy. 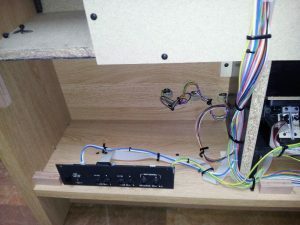 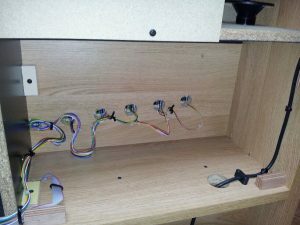 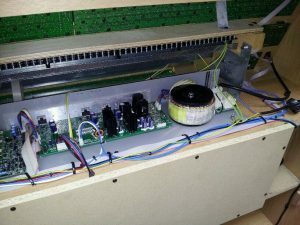 Exposed Power Circuitry in wood console. 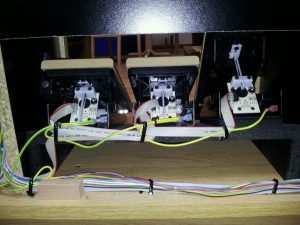 Staples/metal pieces hold wood together. 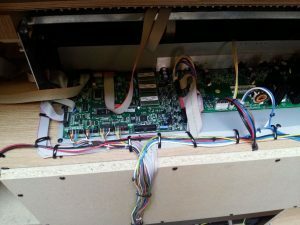 And not to mention all that unprotected circuitry,…power supplies,amps,and tone generation needs to be in metal protective cages to protect them from EMI,…the console wood alone is NOT going to shield them from the EMI that can affect other electronics in vicinity of the organ!